St. Anton in two colors - Bisque (shown) and Frost (see FABRICS). 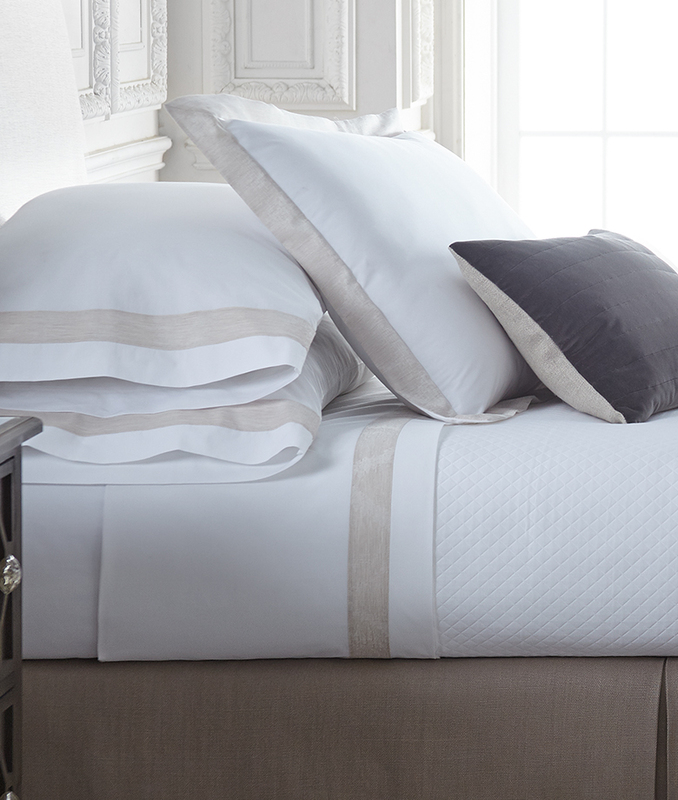 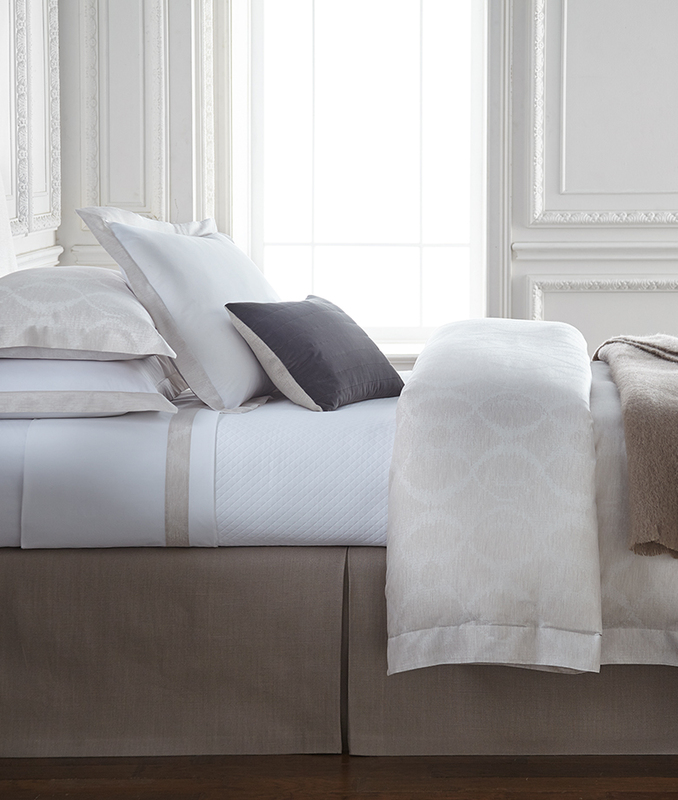 Pair with Veneto 400 TC Percale White Sheet Set with St. Anton Borders. 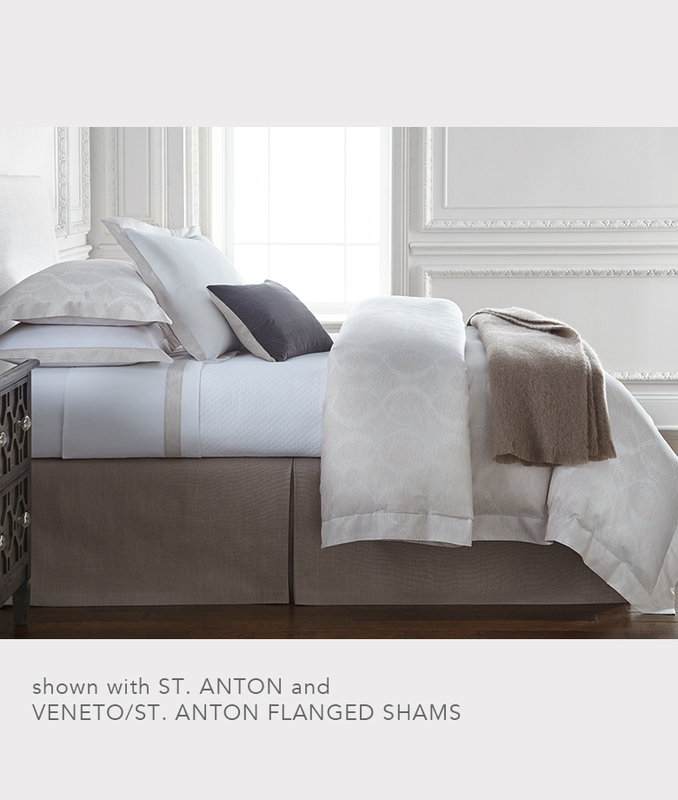 St. Anton Bisque shown with Firenze White Coverlet.